Does TTI underestimate historic congestion levels? To read the Texas Transportation Institute’s Urban Mobility Report is to believe congestion has more than doubled since 1982 (really between 1982 and 2000). From one perspective, of course congestion must have risen, demand (Vehicle Miles Traveled, Population, etc.) increased significantly over this period while supply (Lane Miles of Road Capacity) did not increase at nearly the same rate. But I was alive in 1982, I was in cars at that age (and driving myself the next year) (in Central Maryland). I remember congestion in the 1980s. To misquote Lloyd Bentsen, “Congestion was a friend of mine”, and TTI seems to be saying to 1982 “You’re no congestion”. 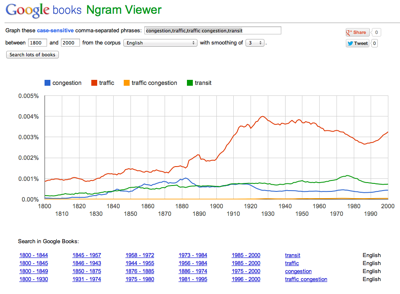 But congestion doesn’t seem appreciably different from today. People complained about it then as much as now. Some bottlenecks have been fixed, new ones have emerged. So I wonder whether congestion did, in fact, “double”. 1. Measurement issues. Continuous roadway travel time measurements were a lot scarcer in the 1980s than today. Freeways now have loop detectors on every segment, whereas there might have been a permanent recording station every 5 or 10 miles in the 1980s, so a lot more had to be estimated and approximated. There are still no good arterial measurements, the most recent Urban Mobility Report uses GPS data from Inrix, and this will clearly come to dominate congestion measures. Notably, including this measurement forced TTI to re-estimate downward their historical congestion measurements. 2. 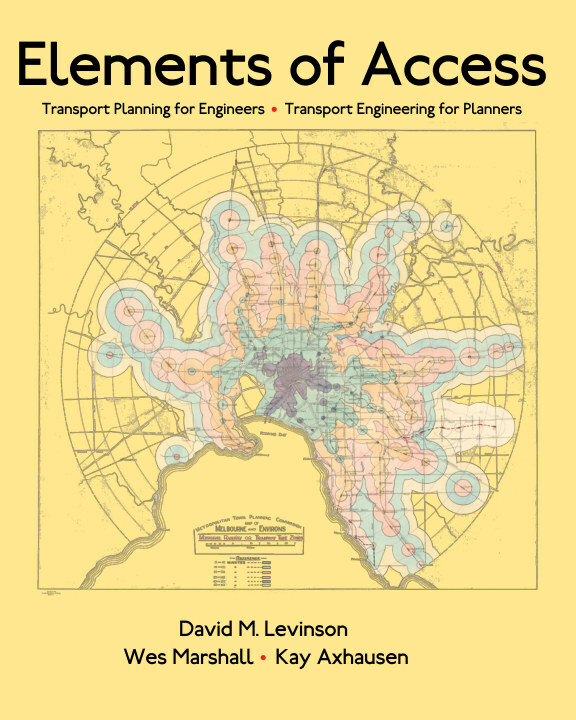 Definition: As noted by Joe Cortright’s report Driven Apart, mobility is not accessibility. A city where I can reach everything in 10 minutes, but travel at 30 MPH (when freeflow is 60 MPH) is more congested than one where I can reach everything in 30 minutes, but can travel at freeflow conditions. 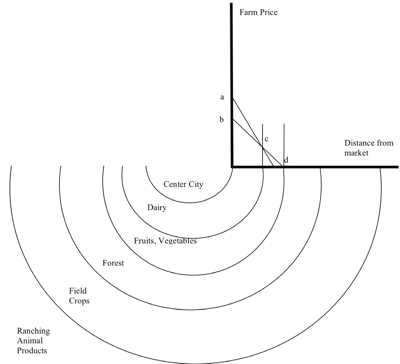 The TTI in a sense penalizes efficient land uses. This does not explain why congestion is under-estimated in the past though. 4. Congestion vs. Speed: Travel times on journey to work increased only marginally over this period. Average distances for trips rose faster than travel times, indicating average travel speeds increased. 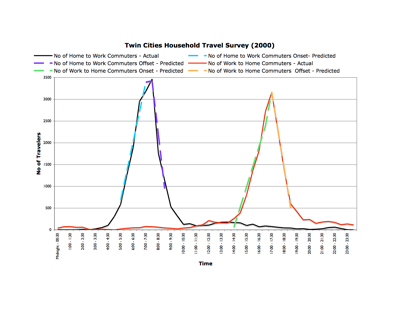 So even with increasing congestion, if travelers shifted to relatively faster (e.g. suburb to suburb freeways) from slower (e.g. suburb to city arterials), congestion can rise on each link, but travel speeds still increase. See The Rational Locator for an example of this. 5. Perspective: This previous point about perception can be refamed as one of perspective. There are differences between spatial averages (which TTI uses) and person-based averages (which individual observers perceive). So the person based average for any metropolitan resident may be the same, but the amount of space (network) covered by congestion may increase if the total amount of space which is developed increases. Similarly, if there is peak spreading, congestion occurs over a longer duration. However, TTI is not simply saying that the amount of area that is congested increased, they are claiming, for Washington DC the delay per person increased from 20 hours per year in 1982 to 74 hours in 2010. I am willing to believe that with recent measurements, 74 hours per year for an average commuter in DC is plausible in 2010, since that is just under 10 minutes each way each day for 225 work days per year. 10 minutes of delay on a 30 minute commute means the freeflow time on that commute (un-delayed, e.g. Sunday morning) was 20 minutes. This seems about right for the “average” commuter. Rush hour is when everyone has to slow down. But this implies in 1982 that delay was less than 3 minutes a day per commuter each way. That seems unreasonably small when you think about it, I could have spent 3 minutes at a traffic light in DC at the time, and that certainly constitutes delay. They are saying for every person who had a 10 minute delay, 2 people had 0 delay to get an average 3 minute delay, and that is not the metropolitan Washington I was familiar with. Congestion was sufficiently important than that radio stations had regular traffic reports, and traffic helicopters, it was not something insignificant. Of course this is impossible to fully validate, as we cannot go back in time and accurately measure speed. The best I could think of was using the Google NGram feature to track mention of some keywords in books. This proves nothing unfortunately, and suggests a small uptick in the word “traffic” in the 1990s, but is interesting none-the-less. One however can imagine the motivation for wanting congestion to appear lower in the past than it actually was. This means congestion is rising faster, and thus creates a greater claim on the public weal than if congestion were always with us at roughly the same level.